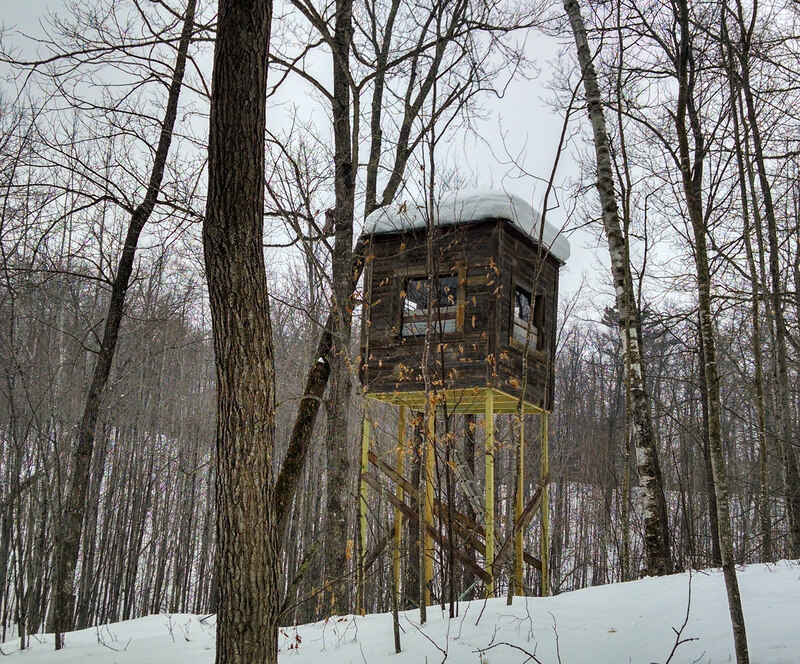 March 7th already and I have not written about the many winter activities I’ve participated in over the last month. The 41st American Birkebeiner was held on February 22, 2014. 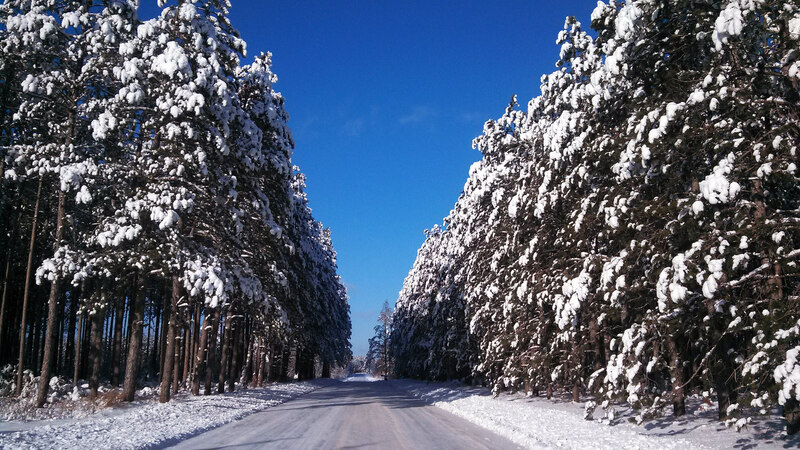 This is the largest cross country skiing marathon in North America. The ‘Birkie’ brings with it four days of fun and excitement for the many skiers and spectators-this really is a ‘must see’ yearly event for everyone. There are several races starting in Cable Wisconsin, from the 54K Classic skate all the way down to the 12K Prince Haakon, so there is a long span of time to watch racers as they cross the finish line in downtown Hayward. This year the weather was particularly brutal for the skiers; bitter cold and relentless wind took its toll on the racers. Not much helped the spectators either, which I was one of-I tried hot chocolate and even switched to hot toddies, which I guess made me believe I was warm anyway. Regardless it was great fun to watch the racers ski down main street: I’m certain they were relieved to hear the cowbells clanging as they approached the finish line! Every year I meet the most interesting people connected in some way to the Birkie, this year I met one of the racers, Bill Graham, who has a brewery in Colorado. He and a few of his friends met afterwards at Anglers, a popular destination for the Birkie crowd, and I had the pleasure of hearing how he arrived at this wonderful event. 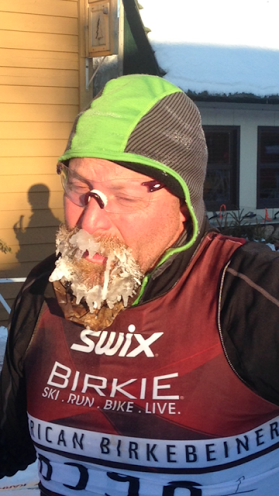 Tons of credit to you Bill, and all the Birkie skiers! Of course I’ve still been snowshoeing quite often, and believe me, cutting paths in the 3 to 5 feet of snow up here is a workout. Once in a while, Greg comes along with Dolly and I – as he did today when we trekked through the rolling terrain of his hunting land. It’s always a hoot when Greg comes with; I can always count on an entertaining show of sorts because he always manages at least one excellent face plant while snowshoeing. 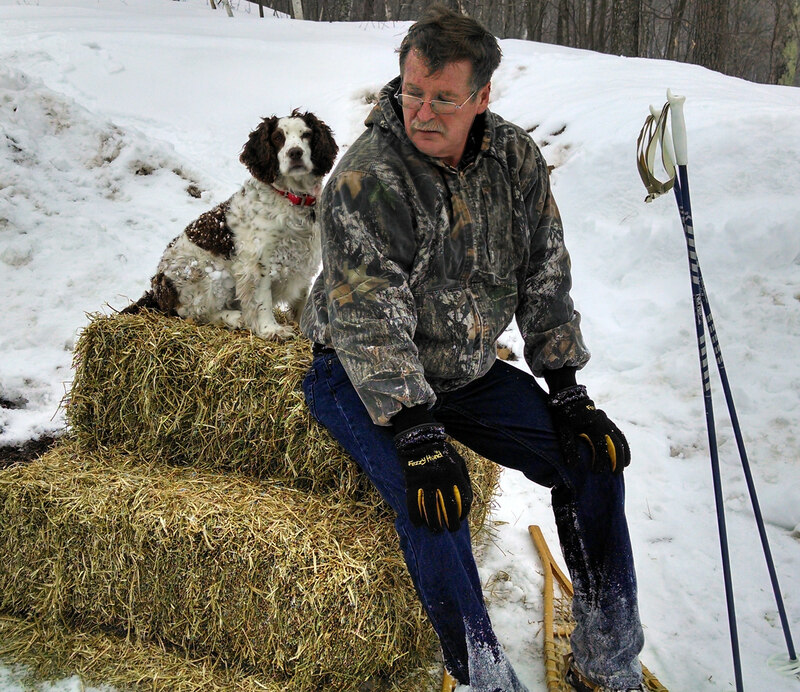 Luckily, we had been feeding the deer so we had a stack of extra hay bales to sit on and recuperate when we finally made it up and out of the woods today! Ice Fishing: Walleyes for Northwest Wisconsin hosted their family ice fishing tournament Saturday March 1, 2014 on LCO. Rescheduled from the original date of February 8 due to poor weather, I don’t think they had it any better on March 1. I had to work part of the day so I didn’t fish the tournament, but we did stop down at the Chicago Bay boat landing on Lac Courte Oreilles to wander around and say hi to some of the local fishermen. It was frigid cold with blowing wind. We warmed up for a bit inside the heated raffle booth area, but then ventured out for a brat from the hardworking volunteers who put this wonderful event on. The turnout was lower than expected and I’m sure it was due to the bitter cold of the day. Hopefully next year I can ice fish in this tournament. It is a worthwhile cause to promote our fishing hobby and keep it alive among our youth population. You see, I’ve been very busy with all this activity! Going from one event to the next and then working in between hasn’t left me much time to post here, plus I’ve been working on my new real estate website every minute I can. Can’t you almost feel spring in the air? I heard the birds singing so boldly yesterday that it made me believe spring just might get here yet this year. This entry was posted in Events-Hayward Area, Ice Fishing, NORTHWOODS LIFE, Snowshoeing and tagged american berkebeiner 2014, Bill Graham, Bill Graham CO birkie skier, birkie 2014, cathy lareau, Chicago Bay LCO, Colorado, ice fishing on LCO, snow in hayward, snowshoeing in hayward, Walleyes for Northwest Wisconsin. Bookmark the permalink.